More of the Saint. 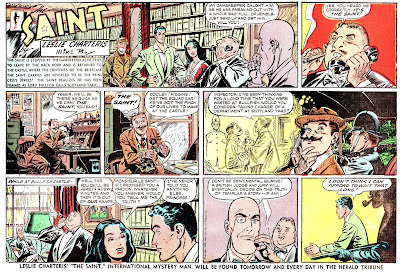 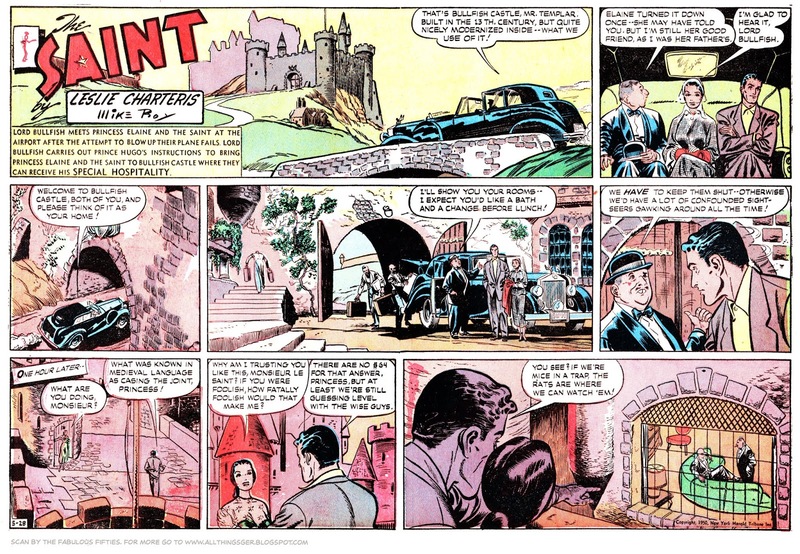 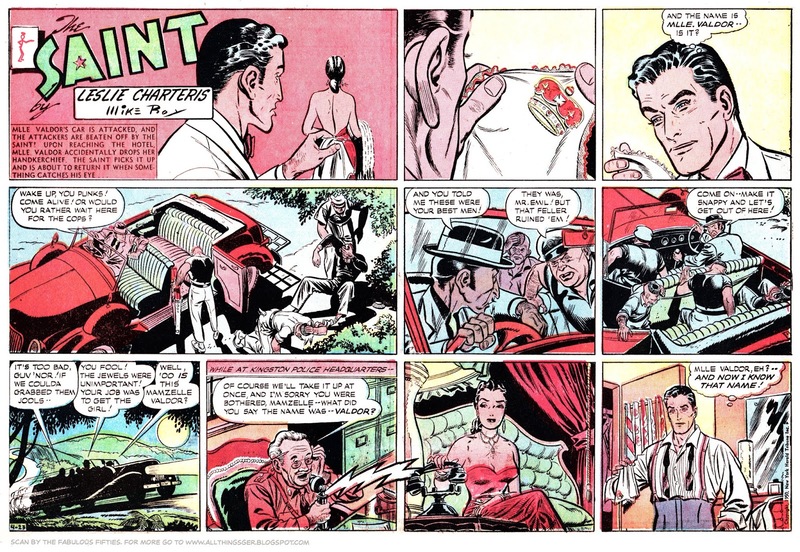 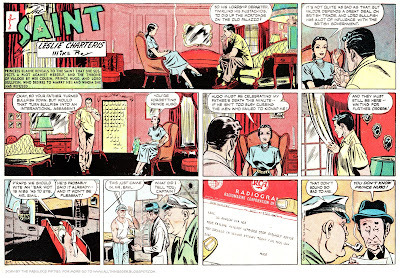 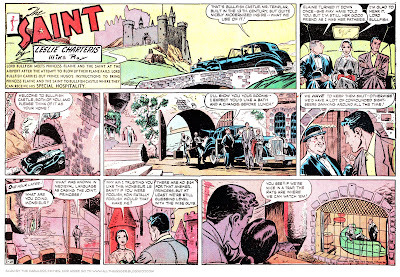 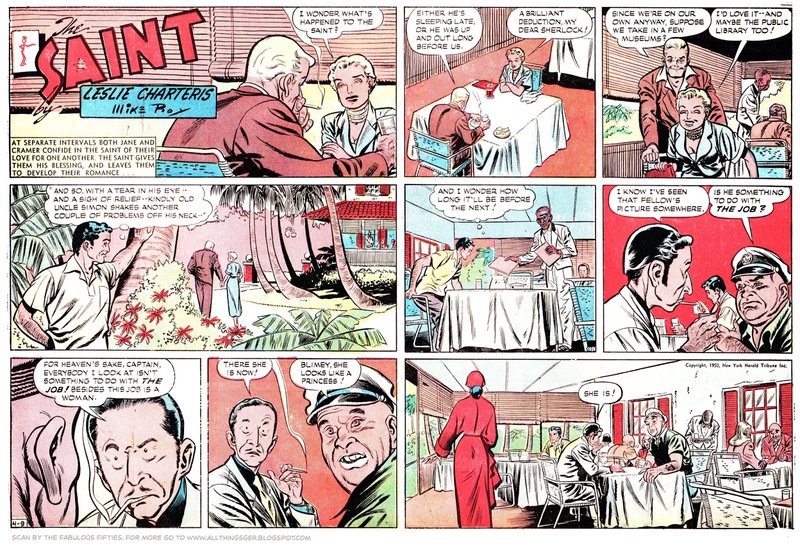 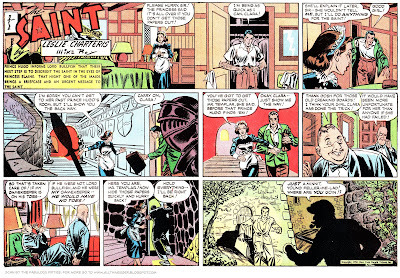 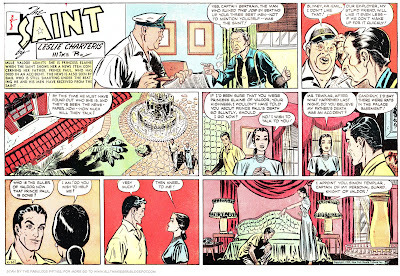 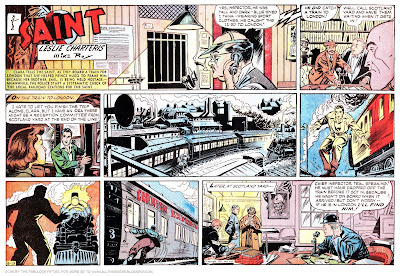 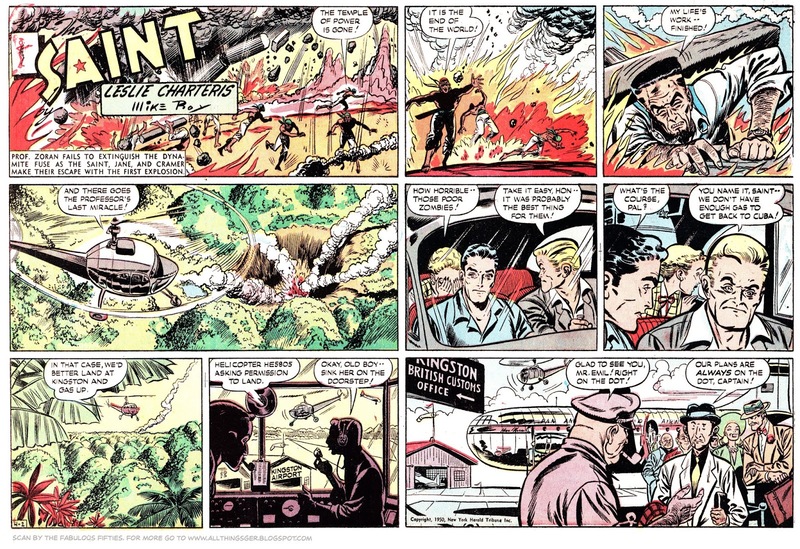 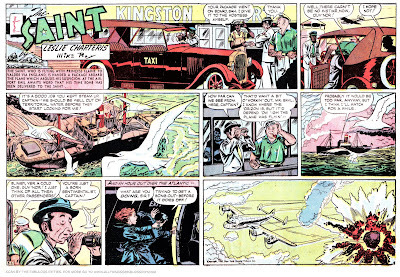 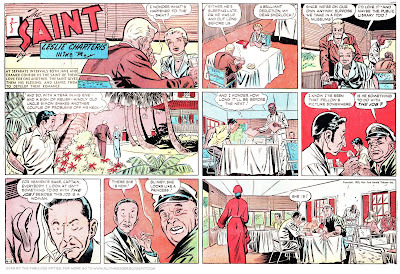 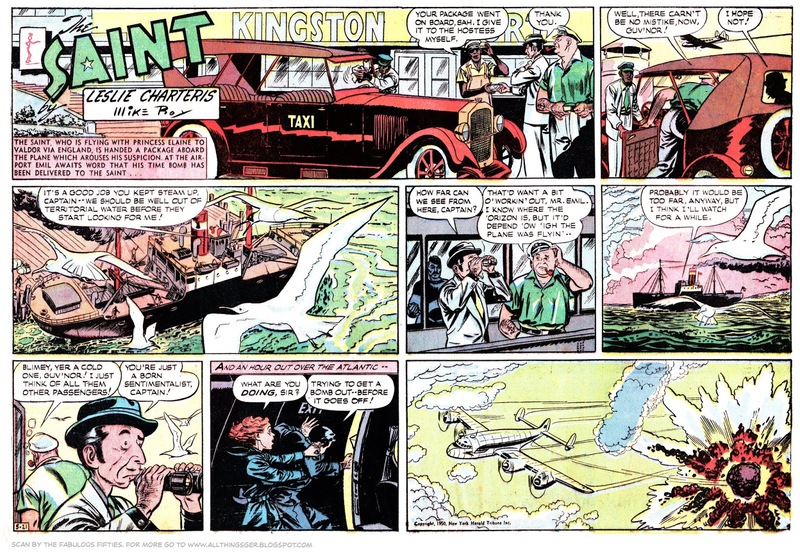 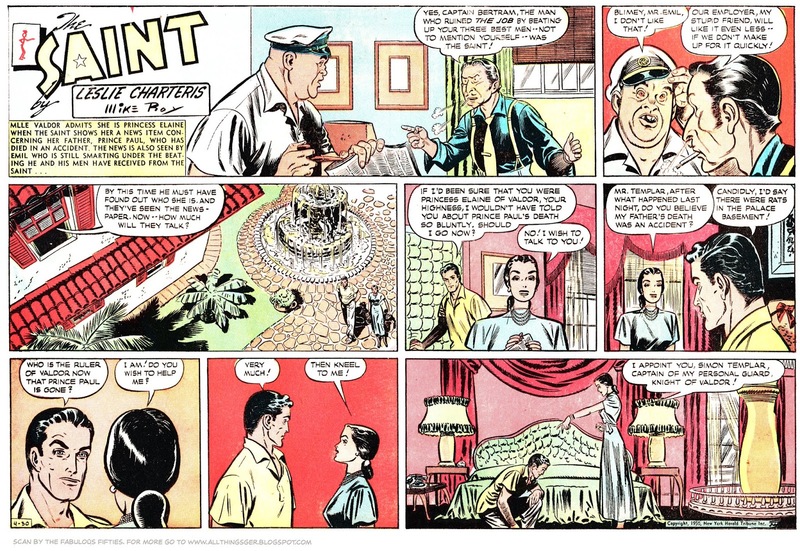 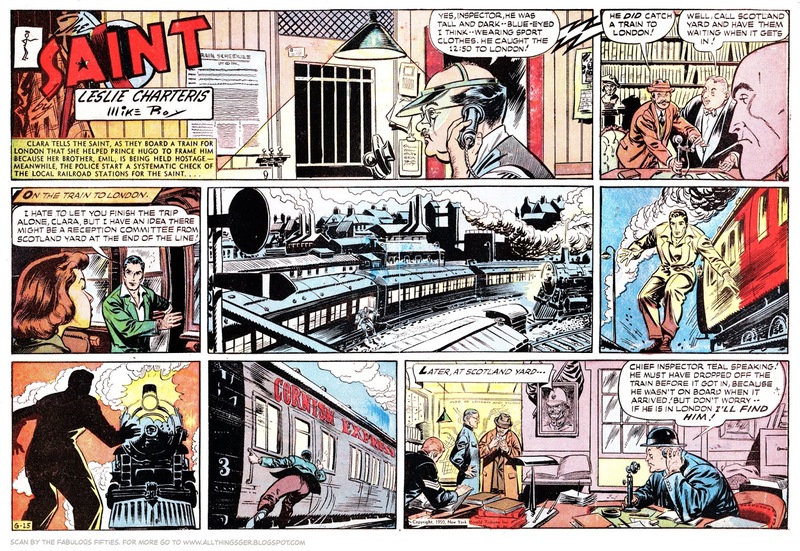 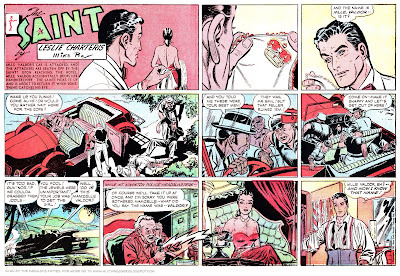 As I have said before, I am sharing this large run of The Saint Sundays by Mike Roy, because somewhere in 1950 he hired a young Jack Davis as an assistant. 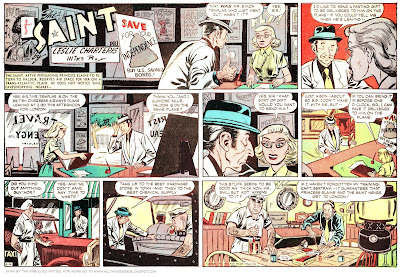 Jack Davis has said that he was asked to do backgrounds, but at a certain point it seems he was doing pencils and inks as well. But when did he start and can we see? 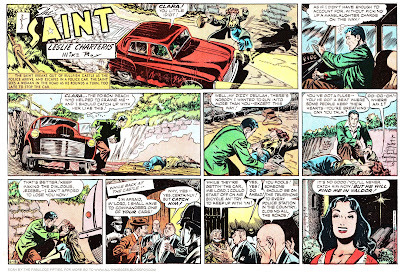 In this lot we see the Sunday that is my first point of defenitively Jack Davis: the Sunday for June 11. 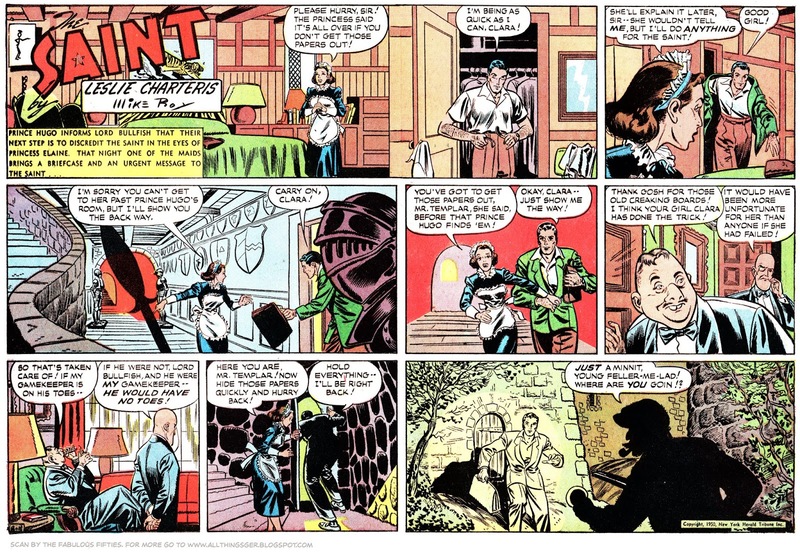 That is not to say that there are no hints of him before that, but to my eyes it is the first one I am absolutely sure about. 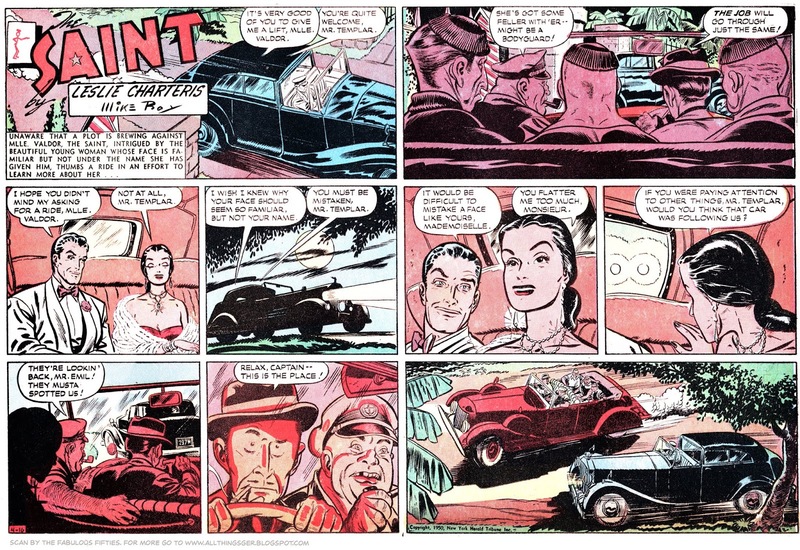 From there we can go backwards. 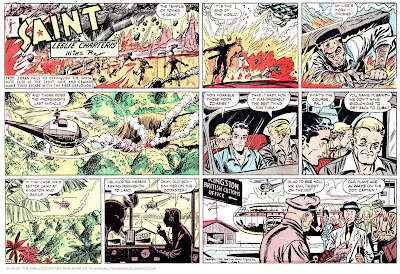 These have been wonderful. They match up nicely with the dailies as reprinted in issues #9, 10 & 11 of the Avon comic. More?